Last night, I really was in no mood to cook. So, I looked around for something I could throw together quickly with minimum effort. A stir fry is always quick, but they usually have a ton of chopping and prep work. 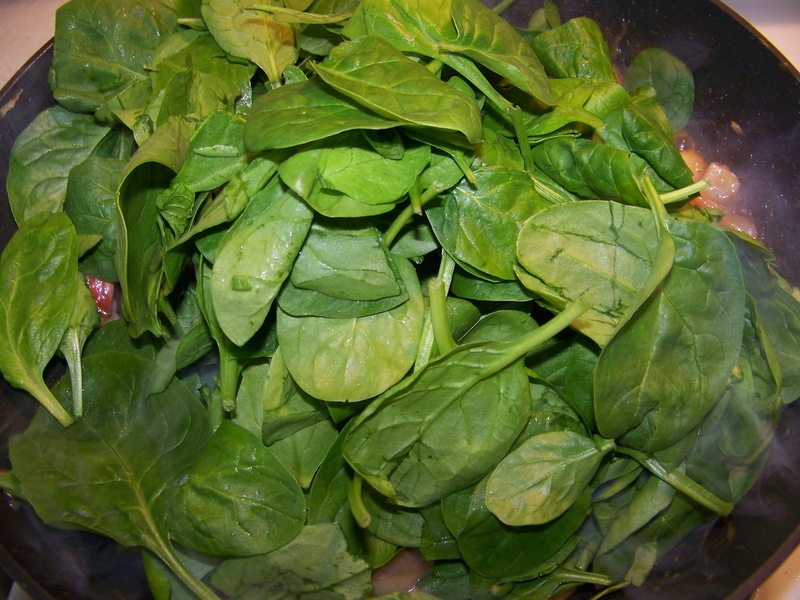 Then I saw a bag of ready to use cleaned spinach. 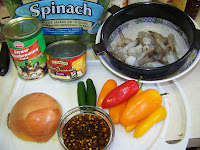 I don't usually add spinach to a stir fry, but why not give it a try. 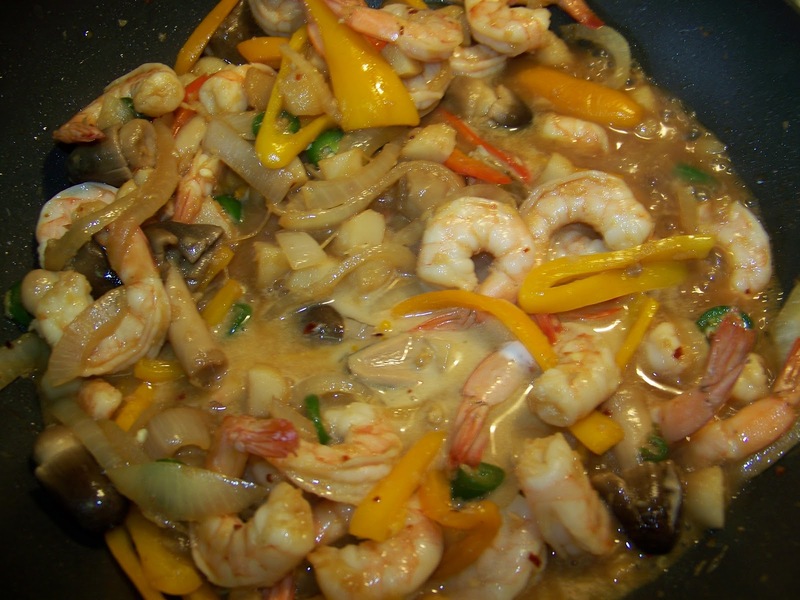 I also turned to some cleaned frozen shrimp. 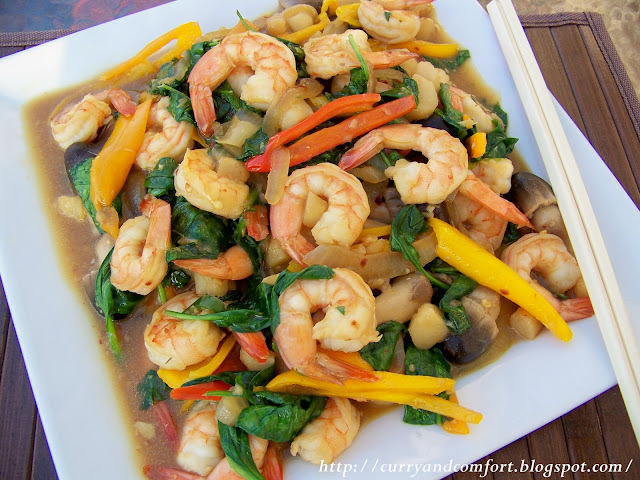 I love using frozen shrimp as a quick and easy protein because it defrosts in a flash simply under some cold running water. 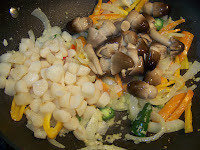 I finished off the dish with some cans of Chinese water chestnuts and straw mushrooms to help make this stir fry substantial. Opening a few cans was just my speed last night too. 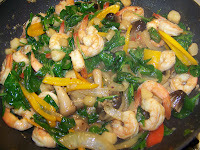 : ) I was so happy how quick, easy, light, healthy and delicious it turned out. This is what I call a perfect busy weeknight meal or at least the perfect "I'm in no mood to cook" meal. Note: To make this shrimp stir fry come together even faster, use shelled and cleaned shrimp. I used frozen shrimp and the best way to defrost them quickly is to put them in a colander under cold running water for a few minutes. Note: Prep all your food first and make the sauce. 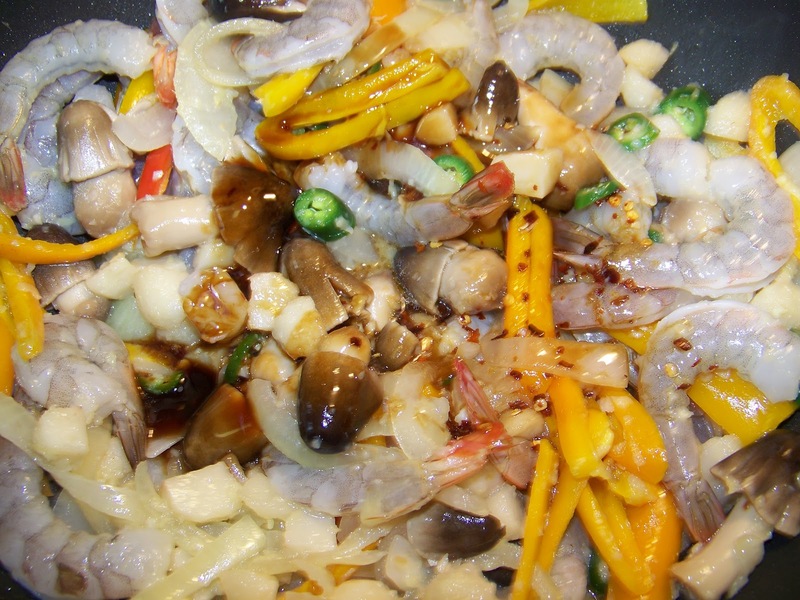 You want everything ready to go because the stir fry takes about 5 minutes and it goes quickly. Heat 1Tbs of canola oil in a large wok pan on high heat. 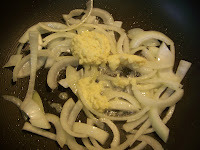 Then add sliced onions and cook for 1 minute. Next add your ginger/garlic and saute for another 30 seconds. 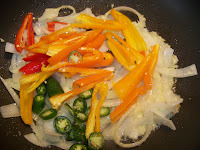 Then add the peppers and chiles and stir fry for another 30-45 seconds. Add your drained cans of water chestnuts and straw mushrooms now and stir fry for another 30-45 seconds. 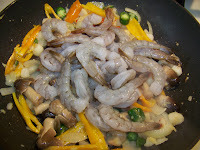 Now add your cleaned shrimp and stir fry for 1 minute. 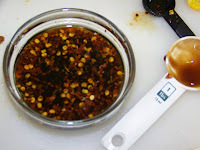 Then add your prepared stir fry sauce and stir fry for another minute. Add your cornstarch and water slurry (that's the two mixed together into a water paste). 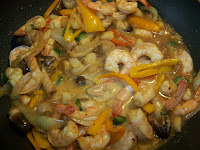 Allow the gravy to boil and thicken for 1 minute. 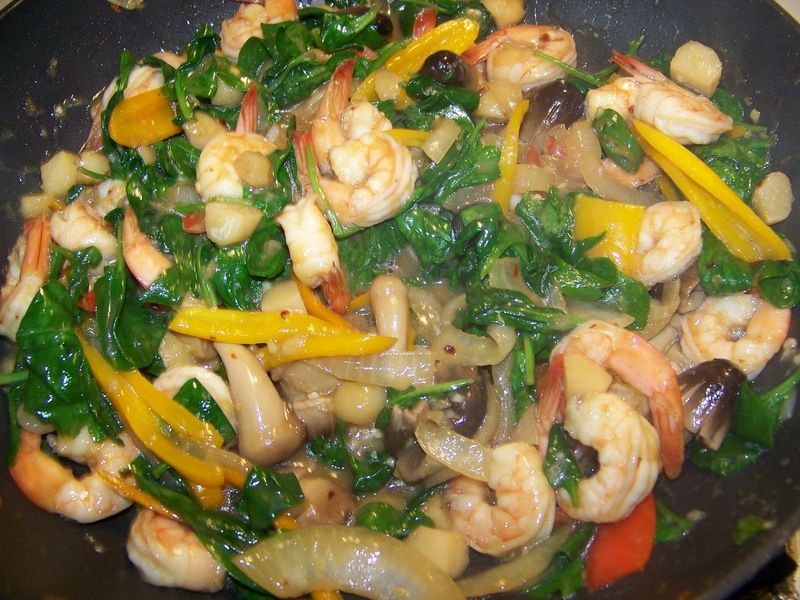 Your shrimp should be cooked now. 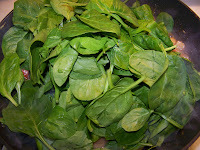 Finally add your fresh spinach and toss with the hot stir fry for a few seconds to wilt. Turn stove off. 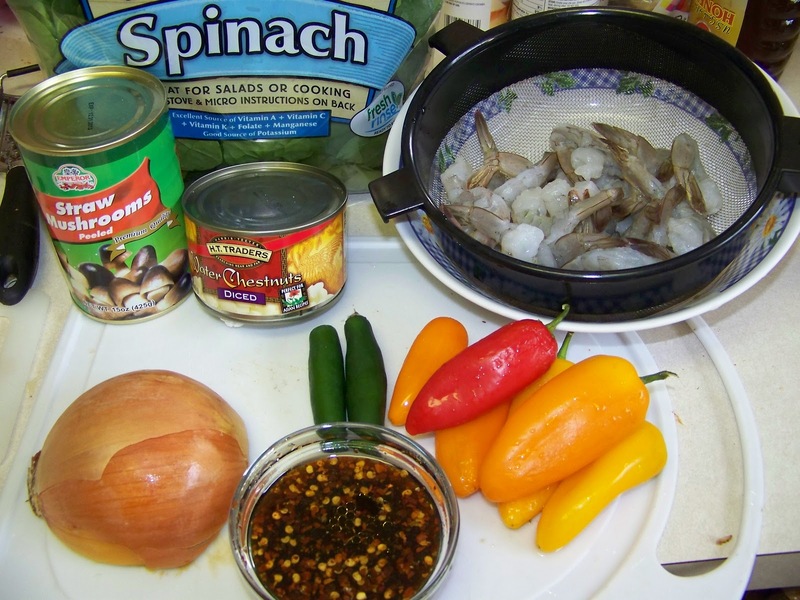 Serve over steam brown or white rice. Enjoy. Serves 4. 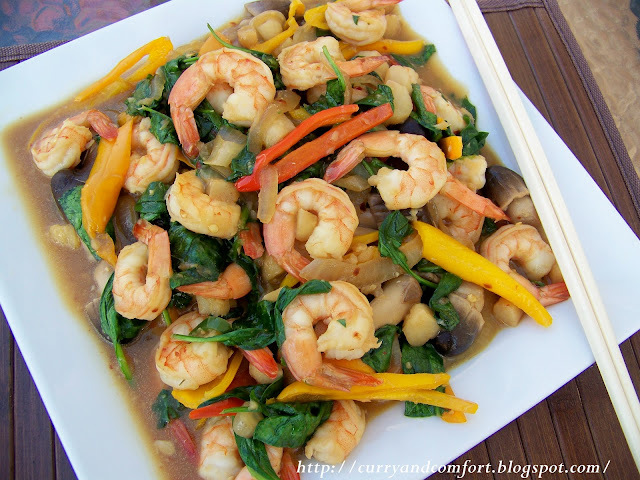 I've had several I'm in no mood to cook days lately so you're not alone! My family would be happy to see this on the dinner table. To play roblox robux game then use free robux for the free play of the roblox free robux game to play free using robux generator for free.